My stopover for curiosity’s sake began with a ranger-guided cave tour – we followed a rushing creek up into marble rock, deep inside an ancient mountain. Within the darker inner-landscape, my apprehension and fears were abruptly replaced with awe and fascination as shimmering cave formations stretched incomprehensively from floors and ceilings, and then flowed effortlessly over walls. I felt nature was displaying its unique artwork at each turn of exploration’s winding paths. Energized by the tour that ended in a lush old-growth forest full of sweet aromas and chirping birds, I hiked an assortment of beautiful, inviting trails. I learned that Oregon Caves is part of a pristine watershed in a mountain range that is home to some of the country’s most biologically diverse plants and animals. For me, the breathtaking views and exercise created a thirst for more. 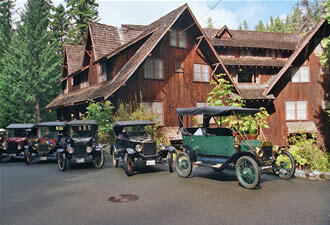 I extended my visit, dining and staying at Oregon Caves Chateau. The hotel is listed in the National Register of Historic Places (a National Park Service program) and was featured on the PBS television special Great Lodges of the National Parks; it motivated me to enjoy a radiant mountain sunset and star-gazing night. 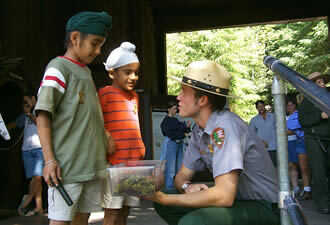 A ranger program by the hotel’s marble fireplace made the evening even more enchanting and provided me the opportunity to learn about visitors of the past. Welcoming another day to discover and play, I began it with a physically and mentally challenging off-trail cave tour where I learned caving techniques, etiquette, and conservation while I slivered through concealed parts of the caves. Afterward, I squeezed in a ranger program and joined one last tour of the cave by candlelight. As my visit drew to an end, I fully embraced this place and considered my good fortune for making that spontaneous turn onto a mountain road. 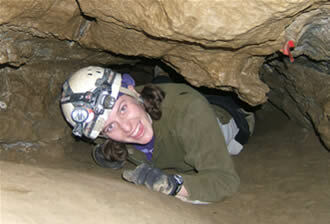 Oregon Caves is astoundingly beautiful above and below the earth, and opportunities for stimulating adventures abound. What made this experience even more extraordinary for me was watching the many young families on their own adventures, talking with rangers and building special bonds. That turn I took seven years ago would extend my sabbatical and eventually prolong my visit – I became a member of the National Park Service at Oregon Caves National Monument, a discovery I’m glad I didn’t miss.